Severe Tropical Cyclone LUBAN over West Central Arabian Sea remains to move west, North West and the center is expected to cross Yemen by today afternoon. Cyclone TITLI has further weakened into a trough of low moving East-North East over the Bangladesh plains and is expected to produce very light showers along its path. Interiors of Tamil Nadu are expected to receive Thundershowers. All eyes are not set on the North East Monsoon 2018 which is expected to make it’s entry in TN’s Shores by the third week of October. 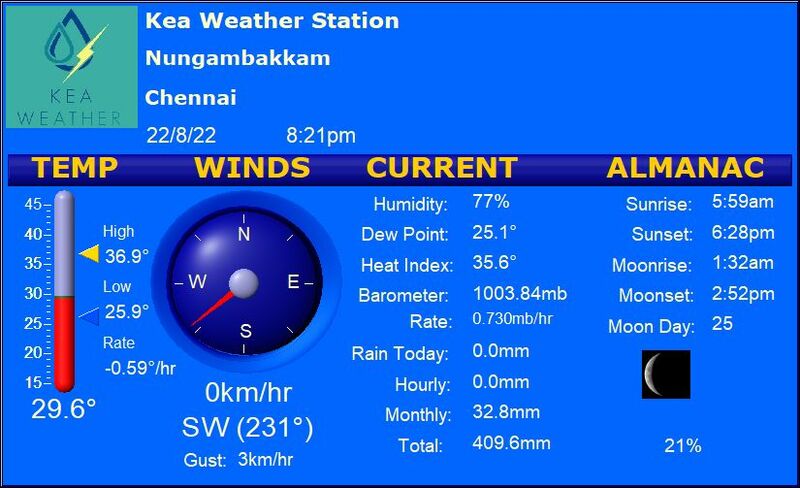 Chennai – Partly cloudy and warm (33/24) Drizzles at isolated parts of the city. Vellore – Sunny with Sheets of clouds (33/21) Light rain cannot be ruled out. Trichy – Sunny weather (33/26) with chances of showers at many places. Madurai – Partly cloudy with Sunshine (34/26) Light rain at isolated places. Coimbatore – Warm with Sheets if clouds (32/21).